Calling all Tsum Tsum fans! 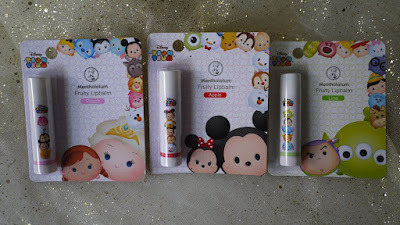 You will be delighted with the newly launched Tsum Tsum Collection by Mentholatum. 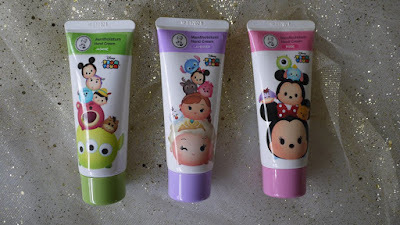 The Mentholatum Tsum Tsum collection definitely has one of the most “kawaii-looking” aka adorable packaging among all beauty care items in the market! 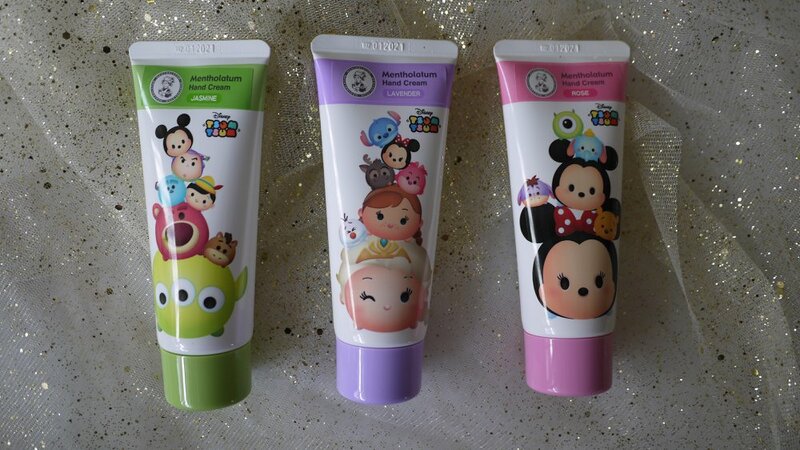 Available at Watsons, AEON Wellness, Caring and Sasa nationwide, the Mentholatum Tsum Tsum collection includes facial sheet masks, fruity lipbalms, hand creams and face wash. 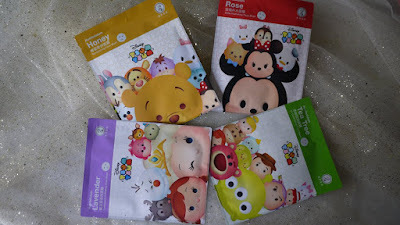 The Mentholatum Tsum Tsum Face Mask is available in 4 variants: Rose, Lavender, Honey and Tea Tree. 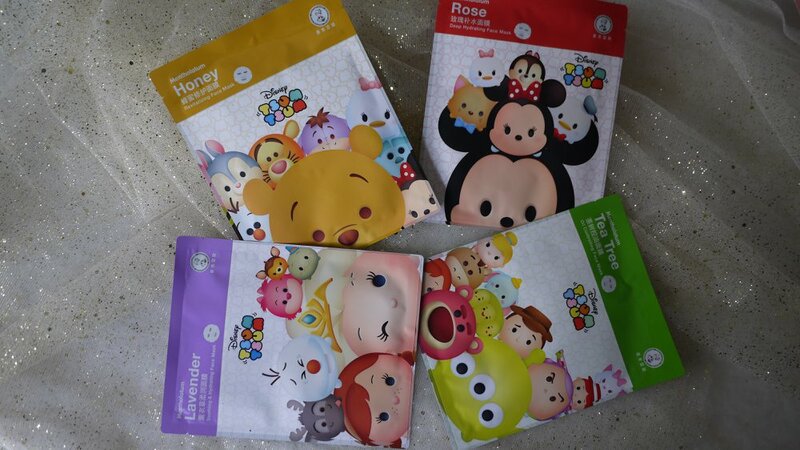 Each of these masks contains ingredients that help improve various skin conditions. Rose (Deep Hydrating Face Mask) combines 4 types of super moisturizing ingredients and Hyaluronic Acid to provide intense 24-hours long lasting hydration to the skin, making it more firm, supple and smooth. Contains Wild Soybean Seed extract & Natural Yeast extract to help strengthen skin's natural protective barrier and smooth away roughness leaving the skin feeling velvety soft, supple and dewy moist. This mask is suitable for dehydrated skin. Lavender (Soothing & Hydrating Face Mask) contains 4 types of Hyaluronic Acid and soothing ingredients to help restore, nourish and strengthen the skin, leaving it refreshed and energized. It also contains Lavender & Chamomile Flower extracts to smoothen rough skin and calm skin irritated skin. It is suitable for tired and even sensitive skin. Honey (Revitalizing Face Mask) combines Vitamin C, Tranexamic Acid and other brightening ingredients to help deeply hydrate, soothe redness and improve skin tone, leaving the skin looking healthy and enhanced with natural radiance. Contains Natural Honey & Yeast extract to deeply nourish and moisturize the skin. It improves skin elasticity and minimizes the appearance of fine lines over time, to keep the skin looking plump and firm. It is suitable for dull skin. Tea Tree (Oil Controlling Face Mask) combines Chrysanthemum Flower extract, Houttuynia Cordata, Wild Soybean Seed and other natural ingredients to effectively control excess oil, minimize pores for a more refined and hydrated skin. It contains Hyaluronic Acid and Tea Tree extract to help boost skin moisture retention level and oil control. It also helps to minimize the appearance of fine lines thereby keeping the skin soft and smooth. 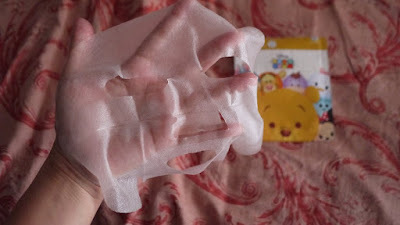 It is suitable for oily and blemish prone skin. The Hydra & Whitening Face Wash is formulated with Arbutin and Rose extract to help brighten and improve skin radiance for a more even skin tone. It is also enriched with moisturizing ingredients to help retain and replenish skin moisture. The natural rose scent brings freshness and comfort to the skin. The Pore Refining Face Wash helps to minimize pores and re-balance oil using Lentil extract for a more refined smooth skin. Formulated with Rosemary and Witch Hazel extracts the face wash helps to deep cleanse and purify pores for a healthy clear complexion. It is also enriched with Aloe Extract to soothe and moisturize the skin while the natural orange scent lifts your mood and refreshes the skin at the same time. Mentholatum Tsum Tsum Fruity Lipbalms contain Vitamin E, Argan Oil, Meadowfoam Seed Oil and other moisturizing ingredients that deeply hydrate and nourish the lips. The ultra-smooth and lightweight texture combined with refreshing fruity flavour of Apple, Lime or Peach melts on your lips for long-lasting moisture – keeping the lips soft, smooth, healthy and protected from harsh environment and extreme weather.